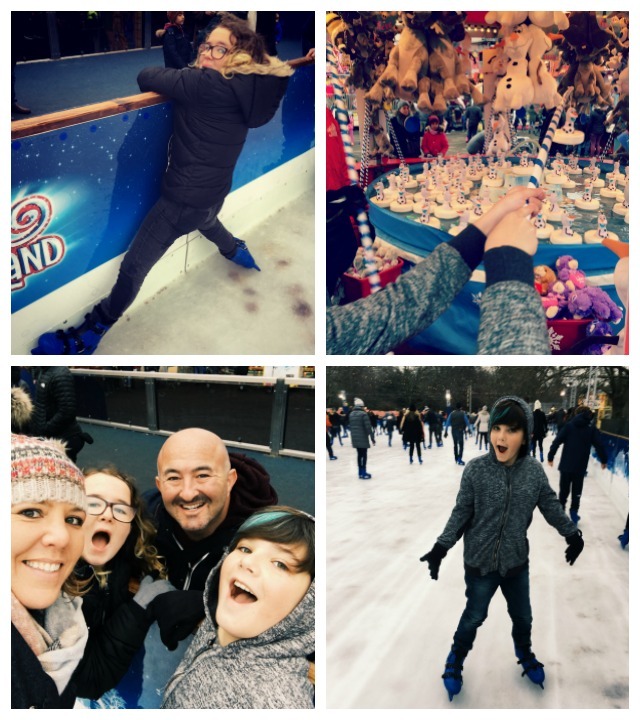 Last year, we decided to visit London with kids in the winter. 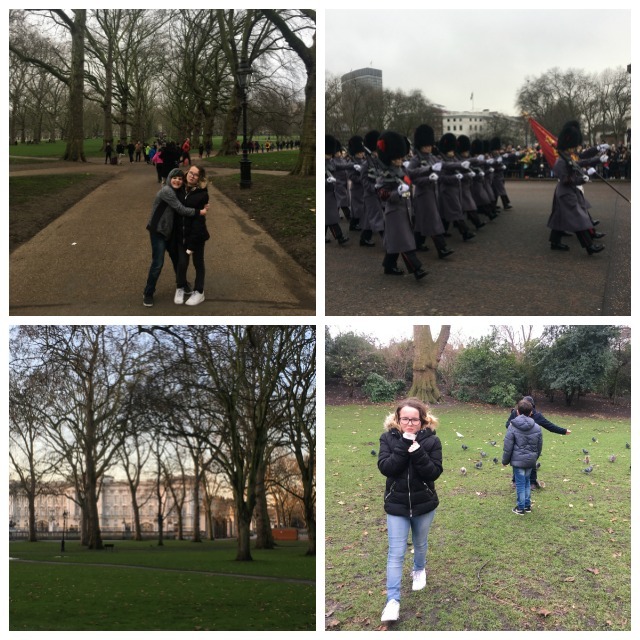 More specifically, we took the kids to London for New Year’s Eve! 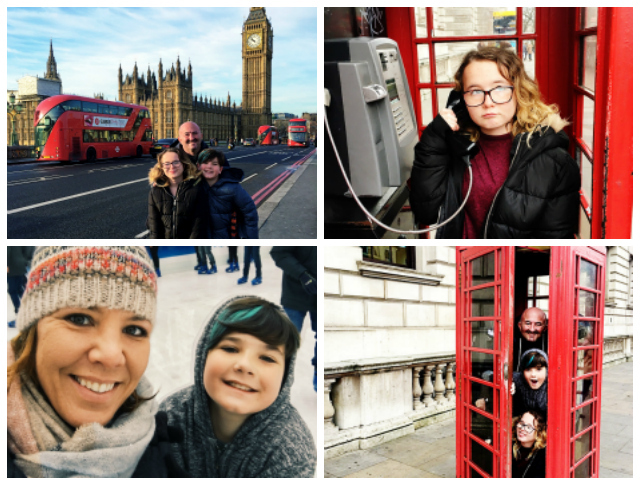 Call us crazy but we thought hearing the bells of Big Ben in London on New Year’s Eve would be one of those big family bucket list moments. While we stood on Westminster Bridge in the cold and I drank wine from a water bottle, my daughter actually fell asleep on the curb! Maybe hearing the bells at midnight wasn’t on her bucket list, but it was definitely a night to remember. 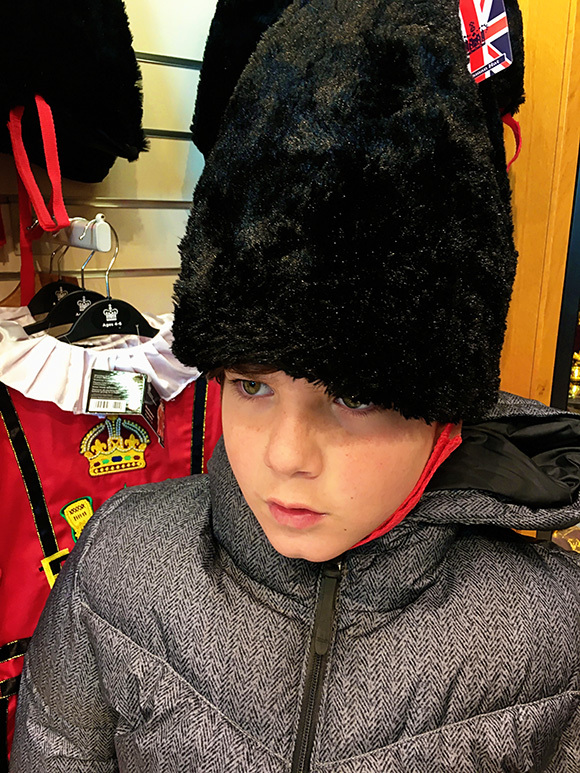 Visiting London with kids in winter is actually quite fun. Yes it may be chilly, but seeing the festive holiday spirit all over the city was a fantastic payoff. I was hoping to see more snow, but unfortunately we just got caught in the rain a few times. 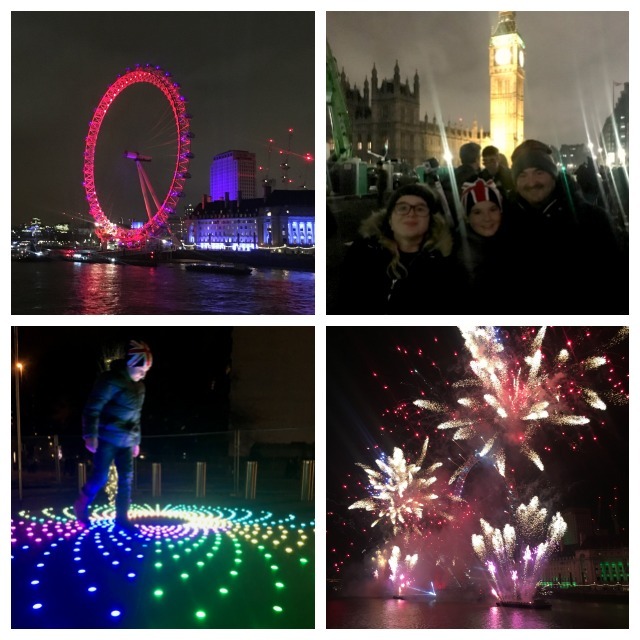 Where to Stay: We stayed at the Park Plaza Westminster Bridge hotel because our New Year’s Eve tickets were for the Westminster bridge section. However, even if you are not going to London for New Year’s Eve this is an excellent hotel because of its location. You are literally just over the bridge from Big Ben, Westminster Abbey, St. James Park, and Buckingham Palace. It’s also very close to the London Eye. We loved walking over the Westminster Bridge every morning to start our day. The hotel is massive and has all the modern amenities you would expect, even an indoor pool in the basement. 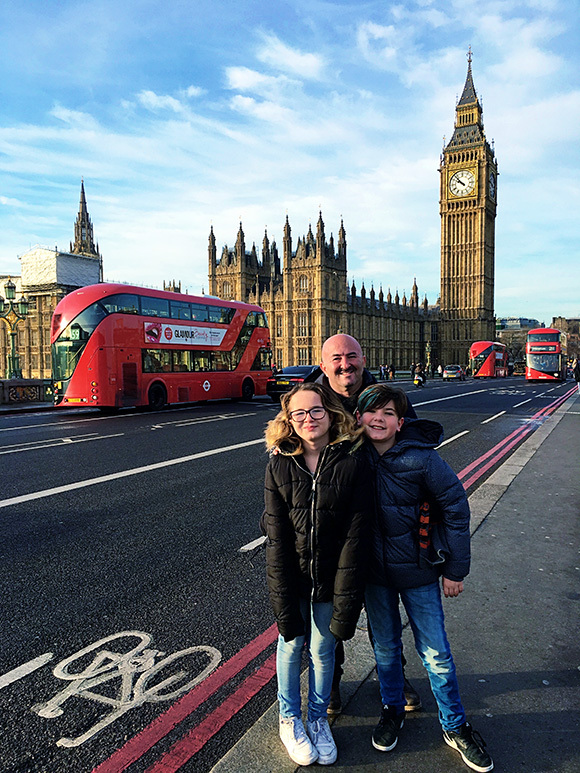 Generally, I like to stay in smaller hotels but for the purpose of our first trip to London with the kids it was really ideal. They have a nice cafe downstairs for coffee and easy grab-and-go type breakfasts. The customer service was fantastic and we liked being able to consult the concierge on a few occasions. In fact, before we even arrived in London, the concierge helped us secure what appeared to be sold out Harry Potter Studio tickets! 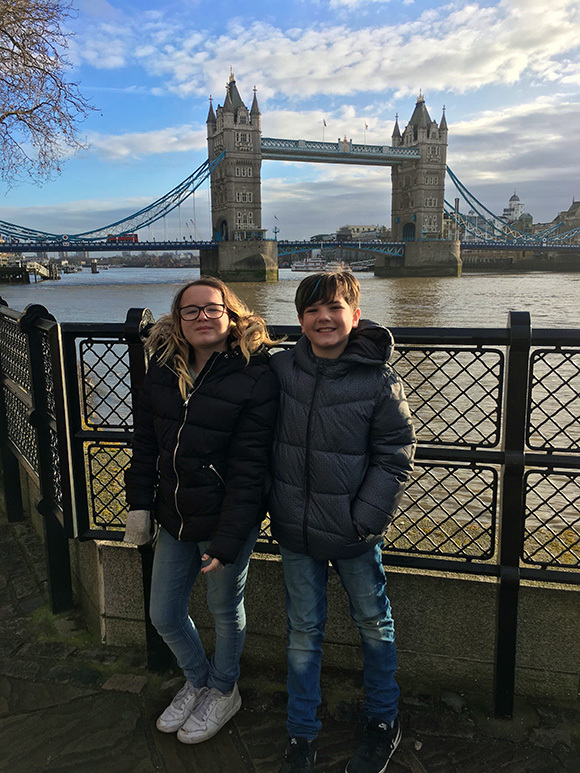 Park Plaza Westminster Bridge is absolutely the best place to stay if you are going to London for the New Year’s Eve celebration with the kids. You will be given a wristband the morning of New Year’s Eve, because entrance to the hotel will be secured and limited for hotel guests only. The streets around the hotel will also be blocked off. The subway station at Westminster Bridge closes for a large part of the night as well, so you will want to be back at the hotel earlier that day to avoid the traffic and closures. We just walked out the Park Plaza to get to our designated section for the New Year’s Ever fireworks show. It was so easy and convenient and to reach the secured entrance on the Westminster Bridge. It was seriously the quickest entrance to a large event ever. We went through security, our bags were checked and once you were in you could not leave. So pack a bag of drinks and snacks! Buy London New Year’s Eve Tickets: Tickets for the New Year’s Eve fireworks go on sale in September. You can sign up for the sale alerts here. This is a fantastic way to spend part of your day. If your kids are into dinosaurs this is the place to go! The showstopper is the large and most complete Stegosaurus skeleton in the world being on display. While the dinosaur is impressive, the room in which it is housed in actually caught my attention more! Yes, I know that you go here for science but the building and architecture itself is absolutely stunning. The natural history museum has a variety of special exhibits happening year round. Check their website for more information closer to your visit dates. You may also want to check out the Dino Snores for kids, where they get to sleep over night in the museum. 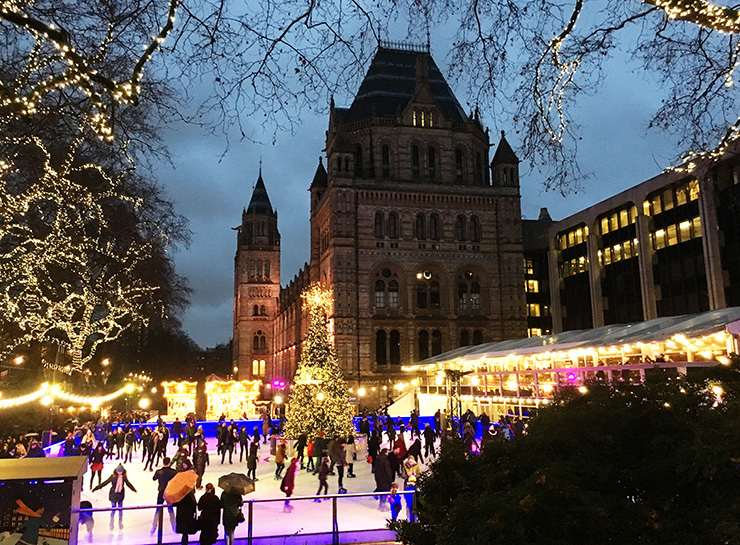 In the winter, the ice skating rink and the carousel just outside the Natural History Museum looks like something from a fairy tale. Especially if you go at dusk. We didn’t spend too much time inside the museum as it was so packed. We opted for hot cider, snacks and riding the carousel. **After hitting the Natural History Museum, very close by is SNOG for frozen yogurt or Bubblology for bubble tea. My kids love bubble tea so we always search for this in different cities. What’s a visit to London without seeing a show!? We saw Wicked and it was fantastic! I had actually already seen it before but the kids thought it was so impressive too. There are always plenty of shows happening, so buy your tickets in advance if you are there during the holiday season. Shows fill up quickly because kids are all off on holiday. There is discounted ticket booths in the Covent Garden metro station so you can check there if you want to take a chance. You must BUY TICKETS EARLY for the Harry Potter Studio Tour. 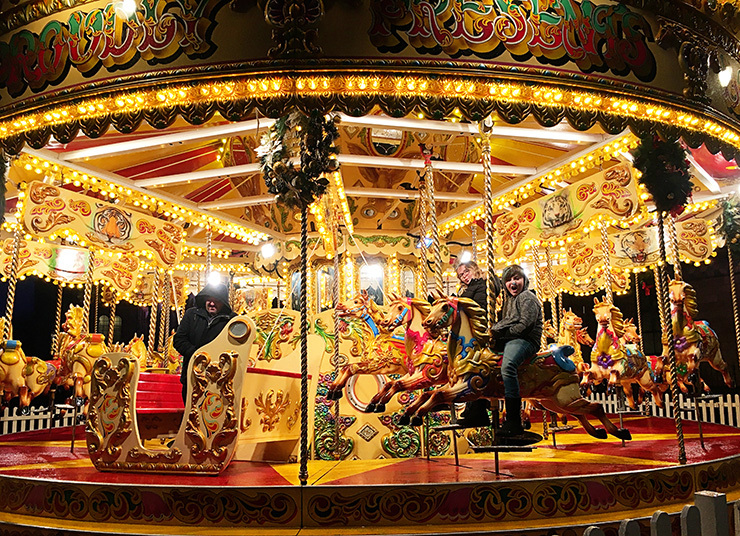 This is a top attraction for families and tickets sell out. The other thing to be aware of, is that this tour is not in the city and will take up most of the day. You will take an hour bus ride to the studio, where you will spend about four hours and then take the hour bus ride back. Our tickets included the coach bus ride to the studios and we boarded the bus at London Euston train station. There are other ways of getting there depending on who you booked through so please read your tickets and instructions carefully. Once at the studios you have a timed entrance and a time when you can start to enter the line. If you arrive early don’t worry, there is a large gift shop (naturally) and a cafe to grab a drink or a snack. 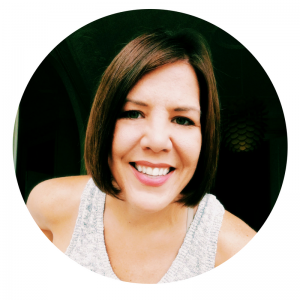 You walk independently through the studio and can go at your own pace, but it will take you about 2-3 hours. About half way through there is a nice cafeteria for food and where they serve the Butter Beer, so be sure to stop for that. The entire experience was impressive, I highly recommend! You may have saw my video gushing about this place. I really was not sure what to expect, and to be honest I thought it was going to be too young and babyish for my kids. However, this was my kids favorite thing in London. 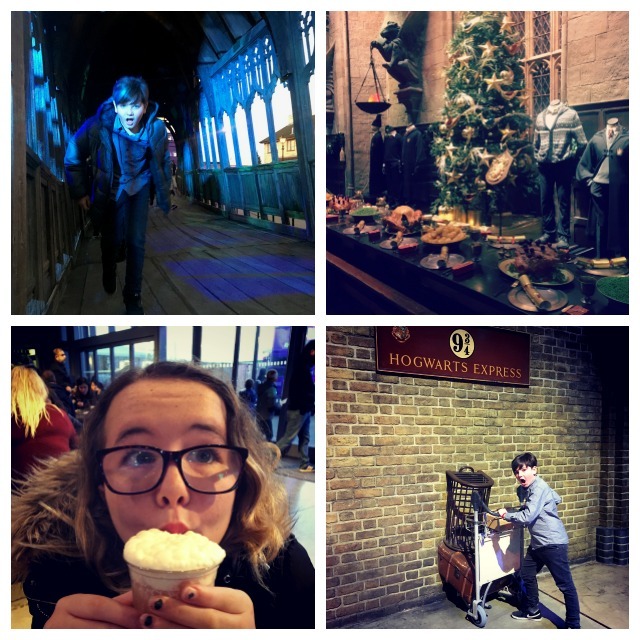 I honestly think they enjoyed it more than the Harry Potter Studio. 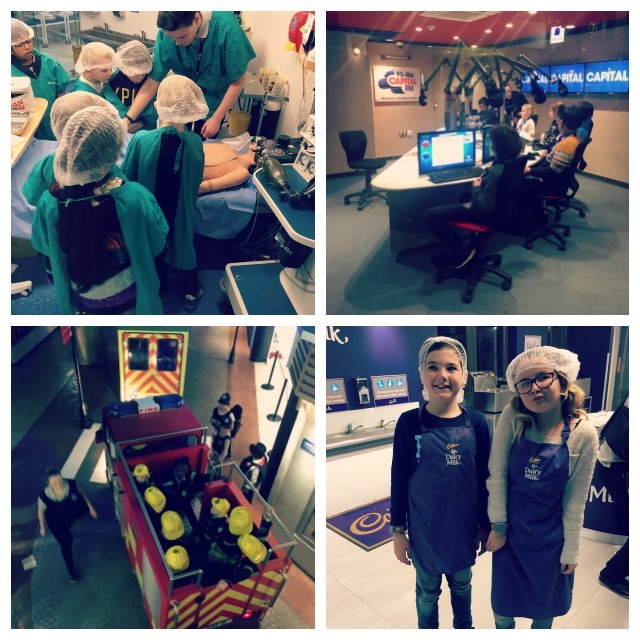 KidZania is an experience you have to see to believe. KidZania literally transports your children to another world. More specifically to a city, fun by kids. The city KidZania allows the kids to play and learn independently from adults. They are able to have jobs and make money. They can be a doctor, firefighter, work for the postal service, work in broadcasting, fashion retail, learn to cook, write for the newspaper and even play on a professional soccer team. KidZania is for slightly younger kids. My daughter had just turned 12 and I think that is probably the cut off age. The entire experience is impressive, from the start of entering at an airport and being helped by British Airways to the end when you have to clear customs with an immigration officer. Bravo! I had been to London several times and do you know, I had never seen the Tower Bridge!? Well, this time we didn’t just see it but I literally ran over it on one of my morning runs! I heard that the Tower Bridge tour is great. But we did not go because I waited too long and tickets were sold out. Even if you can’t or don’t want to visit the museum, the park is lovely and is a must see. Even my kids thought this bridge was impressive thought it looked fake. We wandered and shopped in some nice souvenir shops in this area, then grabbed some lunch at Wagamama. Wagamama has several locations all over the city, and we like it because Asian food is the one thing our family can all agree on! There is something for everyone and the service is fast and efficient. From the Park Plaza, past Big Ben and Westminster Abbey you will walk right into St. James Park. This is a lovely walk to get to Buckingham Palace. 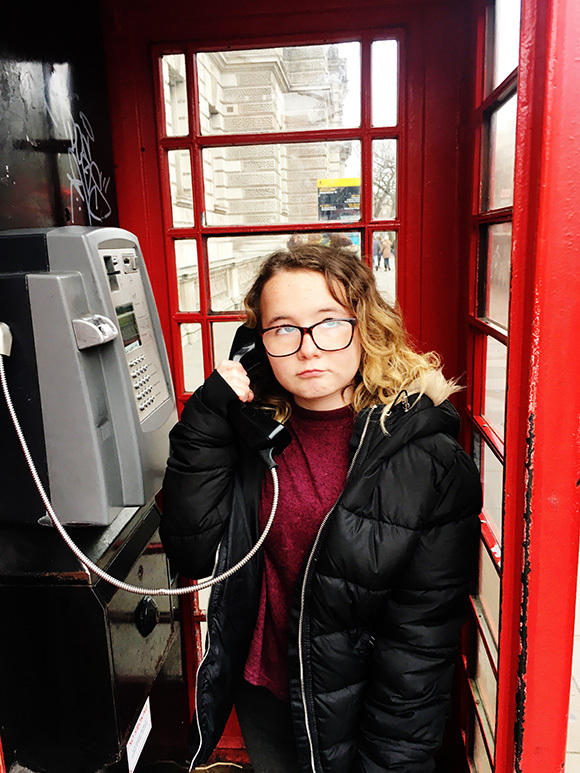 Just before you get to Buckingham Palace there will be a fun park that the kids will want to play at, which is fine because there is also a little snack house serving coffee, hot chocolate, and waffles! Then head over to Buckingham Palace, watch the changing of the guards (if you are there at the times they do it). We didn’t even plan to go at the day and time, but we just lucked out and happened upon the changing of the guards happening! We were on the side so we mostly saw them marching up to the palace not so much the changing, but that was just as fine too. Fun Fact: McKenna is VERY afraid of pigeons. We did not do this on this particular trip but a more recent trip to London. An escape room is obviously not a historic monument or classic attraction. But our family does escape rooms all the time and this might have been our family’s favorite! If it’s really cold outside and you are traveling with older kids I would highly recommend this escape room. Kids should probably be at least eight but check the website to see if they have age restrictions. It was a difficult one and our family unfortunately ran out of time, but best of luck to you! 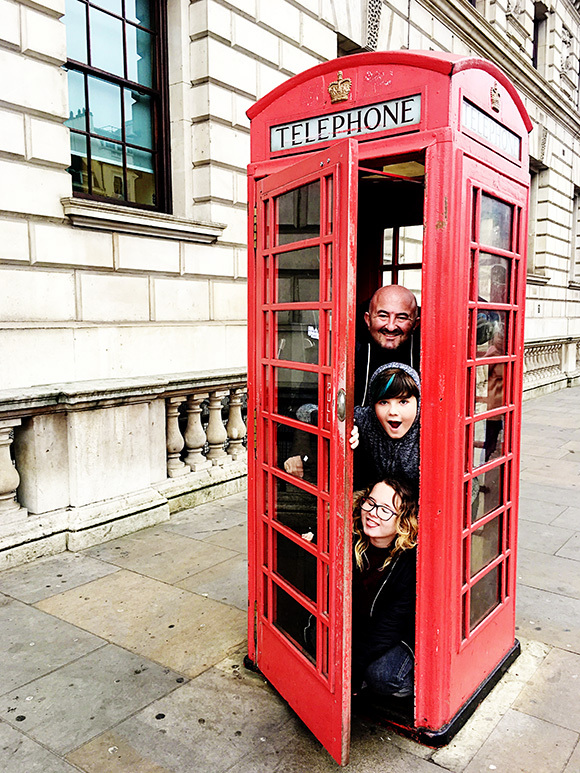 There are obviously so many more things to see and do in London with the kids. The biggest thing to remember when traveling is that you don’t have to see and do it all. Also, your kids do not want to go inside every museum, and that’s okay too. You are there to have fun and enjoy yourself, so just do a few things and wander – letting part of your day just unfold. It’s about the experience, not how many things you can check off the list. On the last day, all my kids wanted to do was walk through St. James Park again, chase the squirrels, play at the park and get hot chocolate. So seriously, do not over plan or overthink it all.